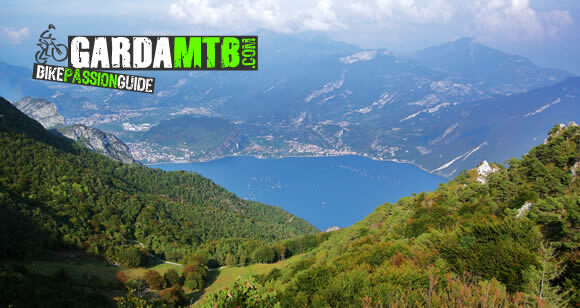 GardaMTB.com was born as a project of a group of mountain bikers living on Garda Lake shores. Our goal is to create the most complete online guide for all those who wish to practice this wonderful sport, in one of the most beautiful spots of Italy. - Mountain bike trails: a collection of the most suggestive and spectacular trails on Garda Lake, tested directly by us, including photos and videos, GPS tracks, detailed explanations. .
- News from the mountain bike world: thanks to the help of local bike shops, we'll keep you updated on new bike models, components, clothing. - Photos and video: we will try to document each of our tour, article, event, or review, with numerous pictures and, if possible, movies. During the Sympatex Bike Festival there will be a real-time updating! - Mountain bike shops: the best bike shops in the North Garda and Ledro, with phone numbers, email, maps and a section on their offers! - Local weather: real-time updates to the weather forecast of the area. - Newsletter and social network: For those interested, we will also keep you updated with a mailing list service, and through many channels of social networks (Facebook, YouTube, Twitter, etc. ...). Finally, we remind you that the site will grow thanks to your participation: for those who wish to send pictures, routes, GPS tracks, or any other type of material, please contact us via email at bike@gardamtb.com. Also well accepted are link exchanges with other portals or web sites!